Quick Translator, a Simple, Light Weight Language Translator Add-on for Mozilla Firefox. Quick Translator is an add-on for Mozilla Firefox which help to translate approximately around 50 languages to your desired (native) one. It is very simple to use and has hot keys if you prefer keyboard. This extension is based on Google Language API. 1. Go to Quick Translator Mozilla add-on page, or simply click on the above download link and click on “Add to Firefox“. 3. 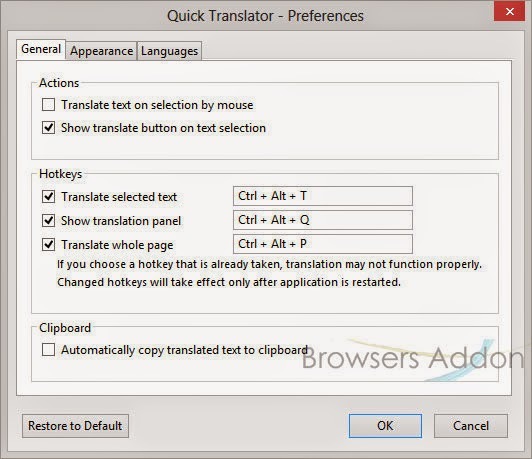 Quick Translator installation box pops-up. Click “Install Now” to continue installing add-on, “Cancel” to abort installation. 4. 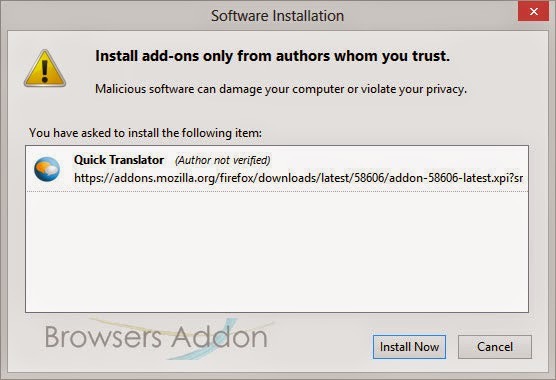 On successful installation, Quick Translator asks user permission to restart the browser. Restart the browser to activate the add-on. 1. On successful installation, you will be redirected to Quick Translator welcome page. 2. To translate text, select the desired text. You can see Quick Translator icon at the end of the selected text or, you can use the short cut key “Ctrl”+”Alt”+”T”. 3. To translate the whole page, right click (RMB) anywhere inside the web browser and select “Translate Whole Page” or, you can use the short cut key “Ctrl”+”Alt”+”P”. 4. 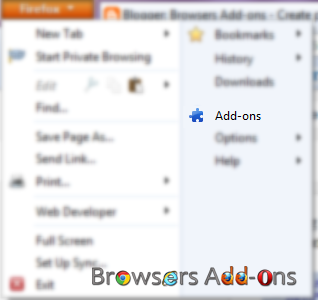 To access preferences, go to Mozilla Firefox Add-ons Manager, search for “Quick Translator” tab and click on “Options“. Here you can change the desired default language to be translated. Next story Turn Mozilla Firefox into EPUB Reader With Free Books Collection. Previous story How To: Adding Download Button for YouTube, for Mozilla Firefox. Get Semi-Automatic Google Language Translator for Mozilla Firefox with S3.Google Translator Add-on.